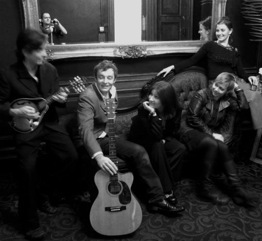 We are delighted to announce that once again, before even a sweet Bevvy note has been sung or guitar tenderly plucked, the Bevvy Sisters have attracted a full house to Letham Nights for a ‘Right Royale Bevvy’ on Friday 29th April, kicking off at 8pm and opening with a set from virtuoso jazz guitarist, David McGregor. If you did not manage to book your ticket we are truly sorry but wish you a fine Friday evening. If you are still keen to come, please still contact us in case we get some call-offs. If you DO have your reservation, here are a few wee reminders…. So we’ll see you there – bring a happy smiling face and your tiara! And boy do we need it! 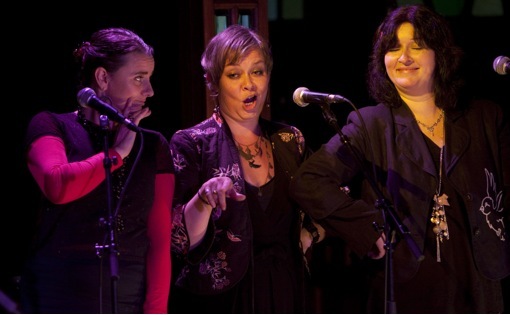 Baby it’s cold outside, but the Bevvy Sisters will be on hand in a very short time to warm the cockles of your heart with their delicious vocal harmonies, together with a set from the silky jazz guitar of David McGregor. And just in case you needed more persuasion to make the journey on a cold winter’s evening, we wanted to let you know that…. The car park around the hall has been heavily salted and gritted and is now safe for parking and walking. The new black stage curtaining has been fitted, greatly enhancing the performance space. A beautiful new Letham Nights sign has been created and donated by local artist Claire Heminsley whose other work you can see at her website Incahoots. 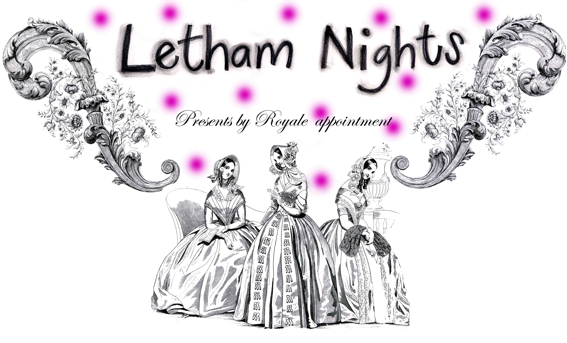 Claire has also designed a new Letham Nights T-shirt which will be on sale with all proceeds for hall funds. Finally, a new Kiva group ‘Letham Nights on Loan’ has been created to support small-scale entrepreneurs in Arts, Education and Entertainment mainly in developing countries to help them get their business of the ground. Join here if you would like to contribute. So… Get yourself down to Letham Village Hall, Fife for Letham Nights #15, Saturday 18th December, 8pm. There are still a few tickets left so please contact us with your last minute requests – contact details on this page.